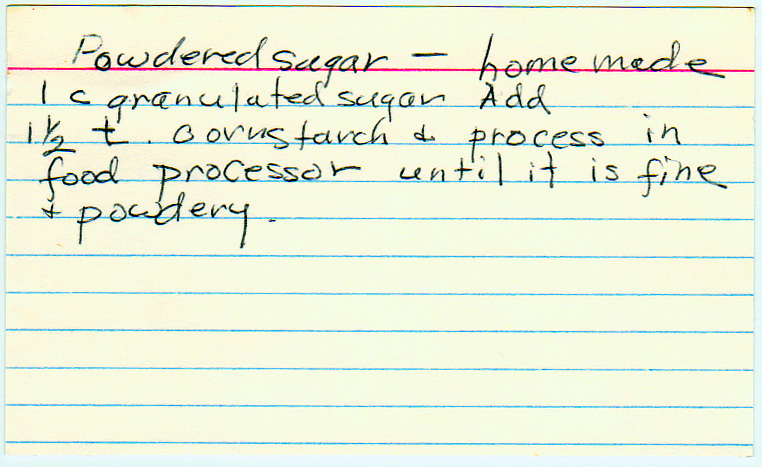 By the way, Dori says not to ever do this in a food processor with a plastic bowl–the granulated sugar will damage it. Use a glass blender. Add 1-1/2 t. cornstarch and process in food processor until it is fine and powdery.